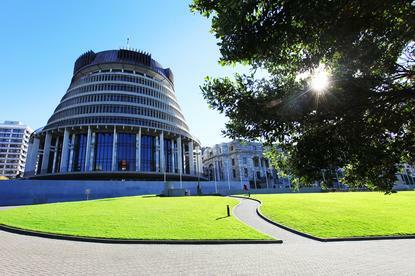 New Zealand’s largest IT services provider reveals availability of the country’s first local object-based storage service for Government. New Zealand’s largest IT services provider Datacom has today announced the availability of the country’s first local object-based storage service for Government. Labelled Datacom Object Storage, this service has been designed from the ground up to provide secure, low-cost storage for Kiwi Government clients, and is road-mapped for enterprise clients across New Zealand. According to the growing tech firm, it joins an already substantial suite of enterprise and Government cloud offerings. Datacom Director Mark Muru says Datacom Object Storage stores data as easily referenced objects, providing applications direct access to data which means manipulating or retrieving files is “far easier and more scalable” than traditional block-based storage, which is the current mainstay of storage architectures. In some use cases Datacom Object Storage is half the price of equivalent public cloud storage services, particularly where customers frequently access their data. “We know customers appreciate knowing the true cost of cloud services before they buy, and that’s how we’ve designed our service,” Muru says. Datacom’s analysis indicates customers have a strong preference for all-inclusive, predictable pricing, rather than paying each time a data is accessed. “We’ve worked hard to meet agencies’ needs of low-cost storage and compliance with the Government’s RESTRICTED security standard,” Muru adds. “The new offering from Datacom means that agencies don’t need to go to offshore providers and potentially compromise security to get the best value and experience. “What is important to note is there is a false perception that offshore cloud services are cheaper than local ones - this is often not the case. Muru says customers are expected to use Datacom Object Storage for anything from backups, seamless web-based services and enterprise shared drives.